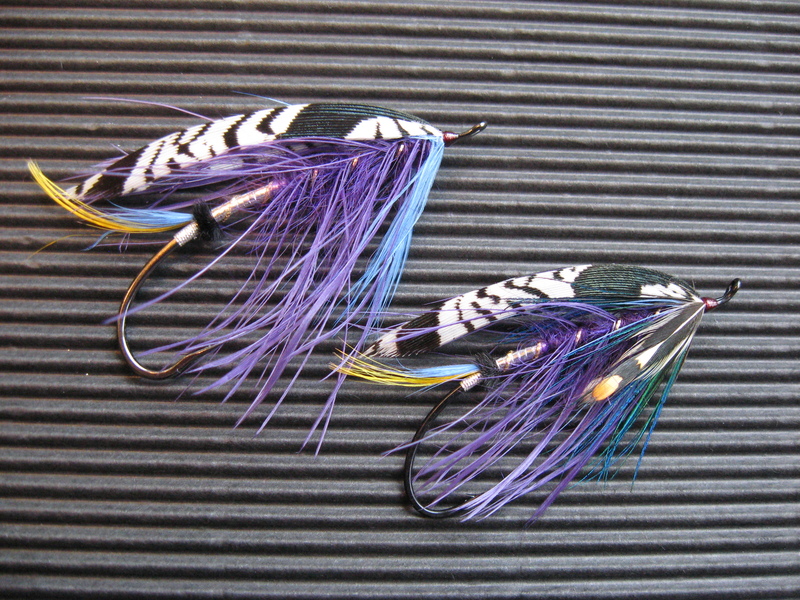 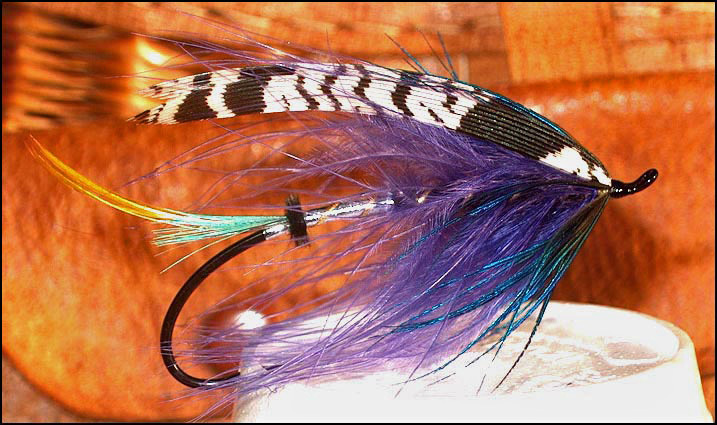 This is a Dee style fly designed for steelhead fishing and is a dressing re-visited from years past. 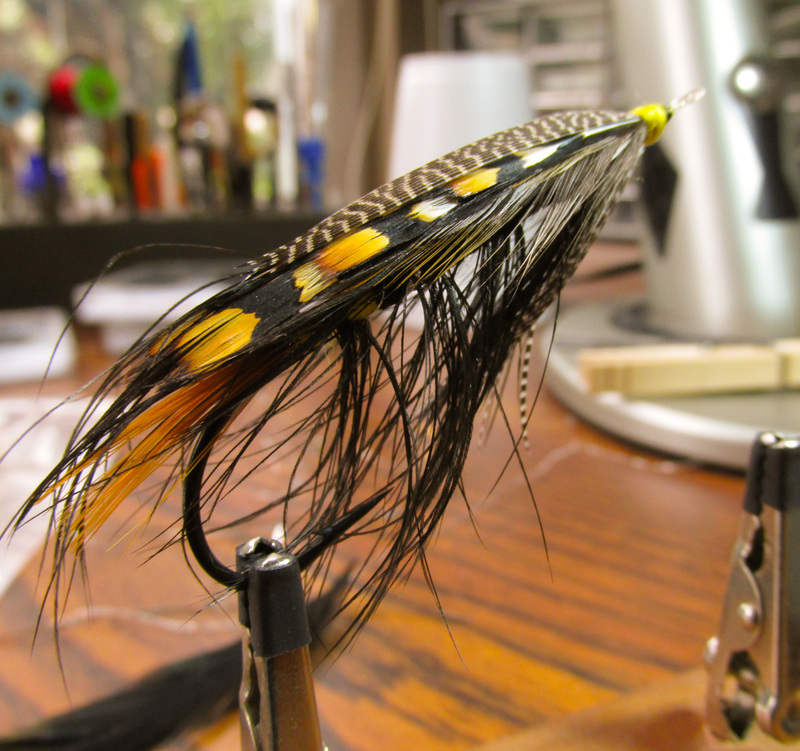 I’ve tweaked the recipe slightly, but the general color, components, and design remain the same. 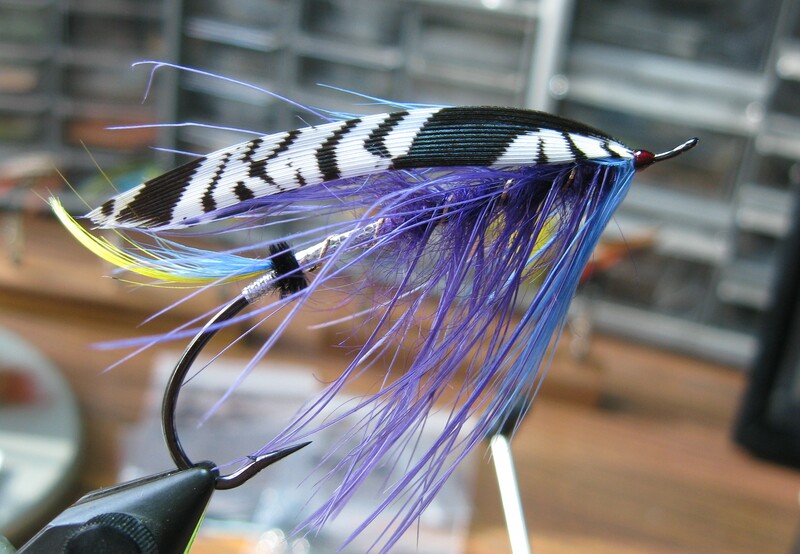 Hackle: Purple schlappen – stripped on one side – wound from the fur. 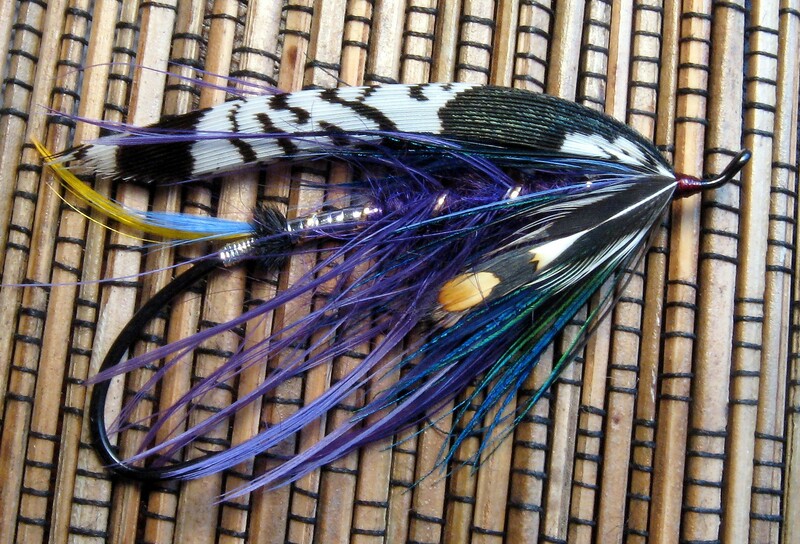 tied on a Blue Heron Spey Hook - 2.25"